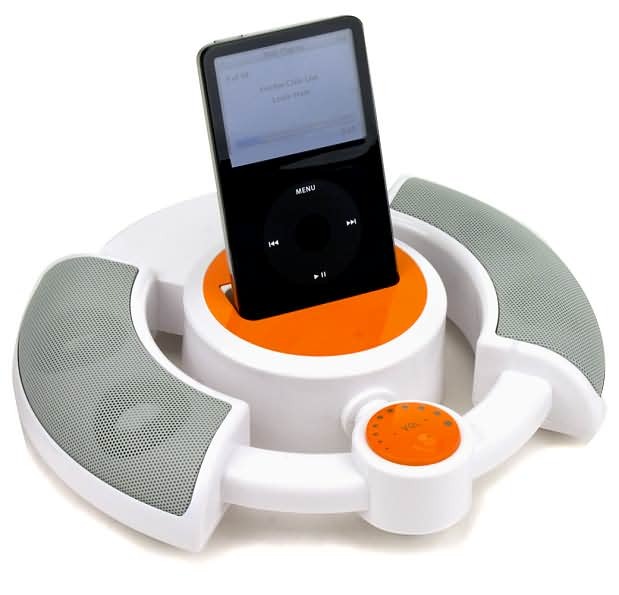 I am amazed each time I hear a wedding “professional” recommend the iPod wedding idea. It reminds me of a stand-up comic joking about his friend the electrical engineer, who told him he could save money by building his own refrigerator, and making his own light bulbs. Since this was first recommended, two changes have occurred: 1) Dozens of YouTube videos have appeared about iPod wedding disasters, and 2) The Party Machine has started to offer a Do-It-Yourself rental sound system, sans music, that allows rental customers to plug in their iPod or laptop. It’s great for low-budget meetings that require a microphone and background music, but we do not recommend it for weddings. Because it’s about more than just the music! The American DJ Association has published “The Truth About iPod Weddings,” and we present it here for our Blog readers, with permission of ADJA. Be sure to watch the video. In order to show you, the consumer the effects of using an ipod, we decided to let video tell the story. What you are about to see is real. It is video from an actual wedding where they chose to use an ipod. The video is untouched other than to insert some dialogue slides from time to time. We hope that by it you will clearly see what happens when you gamble your event success on an ipod. Thanks to DFWADJA and Chad Wandel for this video, and ADJA National for permission to use it. And coincidentally, the ceremony in the video takes place in my home church, Arborlawn UMC in Fort Worth, where I teach Confirmation and have served as Lay Leader and on numerous committees. NOTE: Experienced professional Wedding DJs will always work within a bride’s planned budget. At the Party Machine, we believe every bride deserves to have the wedding of her dreams! If you liked this, you will also like “I Wanna Be a Wedding DJ.” Enjoy!